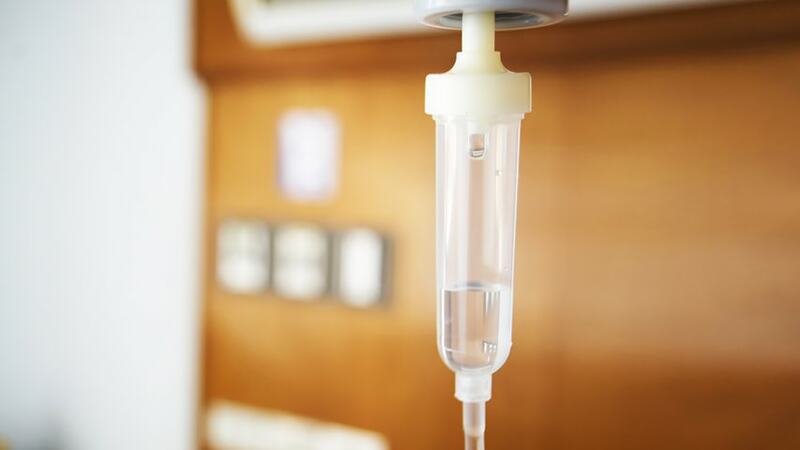 A single dose of an FDA-approved intravenous nutrition source may be able to significantly reduce the toxicity and increase the bio-availability of platinum-based cancer drugs, according to a study by Carnegie Mellon University biologists published in Scientific Reports. Platinum-based drugs, including cisplatin, carboplatin and oxyplatin, have been used to treat cancer for more than 35 years. While they remain among the most prescribed and most potent chemotherapy drugs, they also cause serious side effects, including kidney damage. Many of the side effects of these drugs occur when the drug settles in healthy tissue. To deliver these drugs in a more targeted way, researchers have created nanoscale delivery systems engineered to make the drug reach and accumulate at the tumor site. However, tests of these nanodrugs show that only between 1 and 10 percent of the drugs are delivered to the tumor site, with the majority of the remainder being diverted to the liver and spleen. In the past few years, Ho and his colleagues were developing cellular nanotags to help detect organ rejection, when Ho noticed that Intralipid, a fat emulsion that is FDA-approved for use as an intravenous nutrition source, reduced the amount of nanoparticles that were being cleared by the liver and spleen by about 50 percent. As a result, the nanoparticles remained in the blood stream for longer periods of time. Ho and his colleagues decided to see if Intralipid had the same effect on platinum-based anti-cancer nanodrugs. In the newly published study, the researchers administered a single, clinical dose of Intralipid to a an animal model. One hour later, they administered a dose of a platinum-based chemotherapy drug that had been incorporated into a nanoparticle. Twenty-four hours after the drug was administered, the researchers found that pre-treatment with Intralipid reduced the accumulation of the platinum-based drug by 20.4 percent in the liver, 42.5 percent in the spleen and 31.2 percent in the kidney. Consequently, in these organs, the toxic side effects of the nanodrug decreased significantly. Furthermore, the researchers found that Intralipid pre-treatment allowed more of the drug to remain available and active in the body for longer periods of time. After five hours, availability of the drug was increased by 18.7 percent, and after 24 hours it was increased by 9.4 percent. The researchers believe that this increased availability will allow more of the drug to reach the tumor site, and could perhaps also allow clinicians to reduce the dosage needed to treat a patient. The researchers are currently investigating the possibility of bringing this research to a clinical trial. Additional authors include Li Liu and Qing Ye of Carnegie Mellon; Maggie Lu, Ya-Chin Lo, Yuan-Hun Hsu, Ming-Cheng Wei, Yu-Hsiang Chen, Shen-Chuan Lo and Shian-Jy Wang of the Industrial Technology Research Institute in Taiwan; and Daniel J. Bain of the University of Pittsburgh. The research was supported by the National Institutes of Health (P41EB-001977) and Carnegie Mellon’s Disruptive Health Technology Institute.